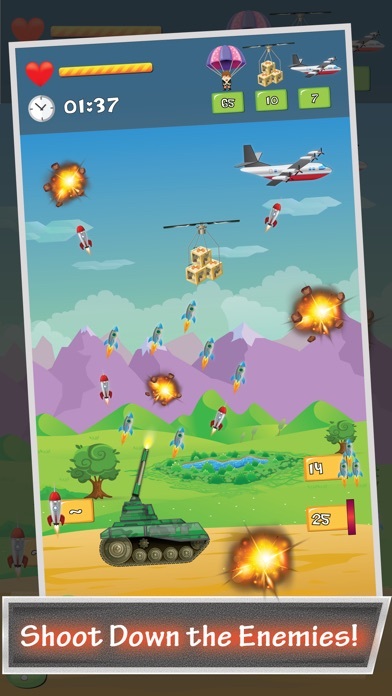 Tank Sky War is action game. Targeted to those player who love to shoot plane and sky objects. Easy to challenging levels. 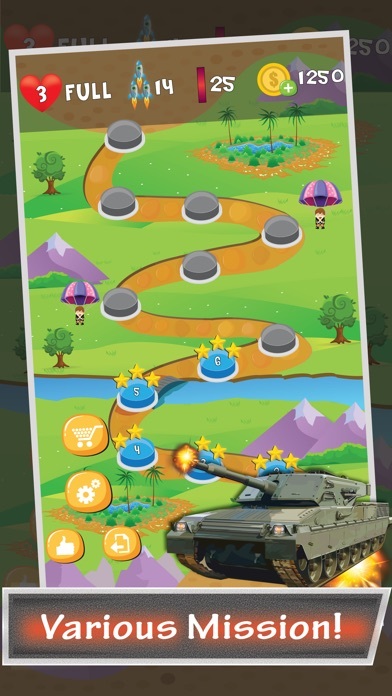 Start your shooting journey today with Tank Sky War game. 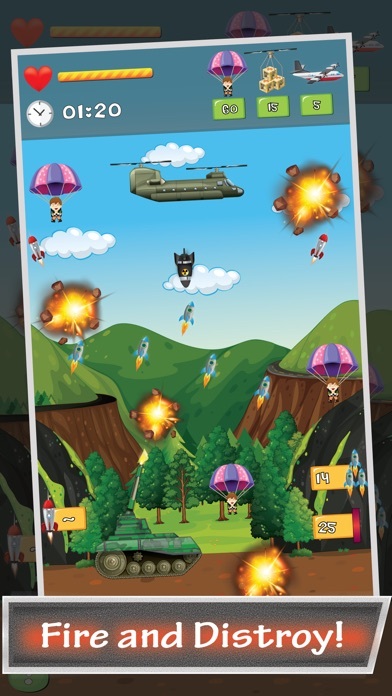 Game Features : = Play amazing thrilling over 50 levels = 3 different shooting objects = Complete target in time without loosing your health = Buy ammo for free or with small purchase = Amazing graphics and animations Developed by Thunder Game Studio, so if you like then Play - Like - Share - Enjoy...!! !